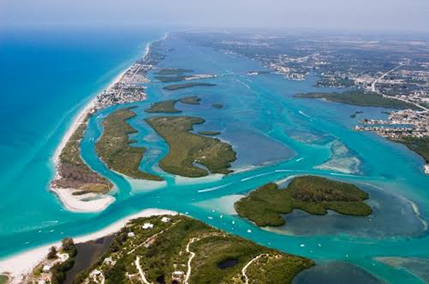 Manasota Key which is also known as Englewood Beach, is an 11 mile long barrier island with Charlotte County to the south and Sarasota County to the north. The island is accessible via two bridges, the Tom Adams bridge in Charlotte County and the Manasota Key draw bridge in Sarasota County. There are 4 public beaches and many restaurants and bars that you can walk to from the beach. The Charlotte County portion of Manasota Key consists of a mix of condos and single family homes with many vacation rentals near the Stump Pass State Park which is at the southernmost part of the island very popular with boaters. The Sarasota County portion of Manasota Key is made up mostly of single family residential homes with the northernmost part of the island consisting of numerous gulf to bay estates.